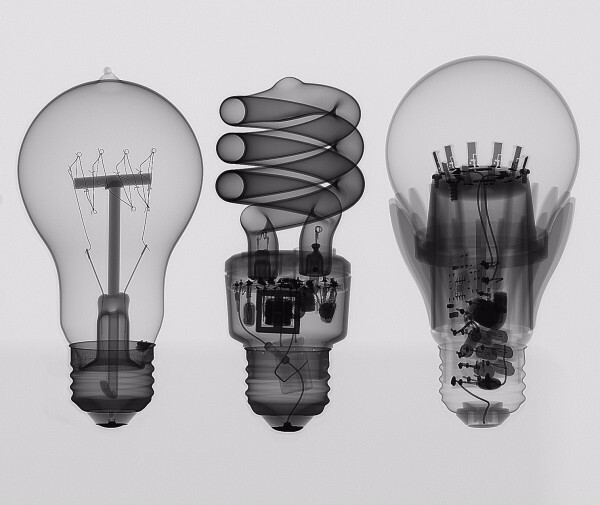 This stunning X-ray image depicts the evolution of electric light bulbs. From left to right: an Edison-style incandescent light bulb, a fluorescent light bulb and a light-emitting-diode (LED) bulb. This picture recently was awarded with the 3rd place in the “2015 After Image photo contest organized by OSA’s Optics & Photonics News”. The Nikon Metrology XT H 225 Computed Tomography (CT) system used boasts a wide range of applications from quality control and failure analysis to material research. The powerful micro-focus X-ray source and high imaging resolution are just a few of its benefits. To find out more about our CT inspection range, click here. Follow the link to see how “The Evolution of The Electric Light Bulb” image fared in the 2015 photo contest of OSA’s Optics & Photonics News, amongst other great contenders.